I have a particular interest in the recent actions of the Texas State Board of Education because of my five years of service on New Jersey’s State Board of Education. Last week, the Texas board voted to revise the state’s K-12 social studies curriculum based on right wing, conservative ideology and not sound facts. The board’s actions were antithetical to the educational welfare of students; they put their own ideological views about issues ahead of young people’s right to receive unbiased information in the classroom. State education board members across the nation are entrusted with setting policies for public school students. It is a challenge and responsibility to get it right for the kids. I personally found it challenging to keep kids’ needs in the forefront when making decisions. Many adult groups constantly put pressure on board members to keep their needs at the forefront, ahead of the needs of students. My service on the board introduced me to the topic of sexuality education, or family life education, as we referred to it then. In 1982, we passed a policy that required local districts to develop their own family life education programs, but did not provide a single curriculum for the entire state. Before passing the policy, we consulted with experts and studied polls showing that the majority of New Jersey residents favored it. My colleagues and I believed that we were helping young people lead safer, healthier, and more responsible lives when we required family life education. The mandate has been deemed a success in the 30-plus years since its adoption. But I am not so sure that what just happened in Texas will benefit students. The statewide K-12 social studies curriculum covers history, economics, and sociology. The 15 board members – all of whom were elected to their positions – did not consult any historians, economists, or sociologists about their changes. None of the members were professionals in these fields. Experienced teachers and professors in the disciplines submitted a series of recommended changes, but these were brushed aside by board ideologues. The majority rejected their suggestions as products of “liberal teachers and academia,” and instead passed curricular changes based on their own strict brand of conservatism. The majority passed more than 100 amendments to the 120-page curriculum. The more egregious changes in the history portion included insertion of such dubiously important, Republican-loved topics as the Moral Majority, Contract for America, Phyllis Schlafly, The Heritage Foundation, “the conservative resurgence during the 1980s and 1990s,” and the removal of passages on the separation of church and state. In place of the latter, it added St. Thomas Aquinas, John Calvin, and William Blackstone and eliminated Thomas Jefferson, our Declaration of Independence author and champion of the separation of church and state. It also inserted the statement that our country’s leaders were “guided by Christian principles,” to downplay the Founding Fathers’ credo on establishing a secular nation. The changes to the historical portion of the Texas curriculum affected black and Hispanic youth. According to news reports, a Hispanic board member “stormed out” of the meeting when the all-white, all-Republican majority refused to add even one Hispanic role model to the changes. Equally insulting to minority students was the majority’s decision to achieve curricular parity when it came to discussion of the civil rights movement. It insisted that the curriculum include not only the nonviolent philosophy of Dr. Martin Luther King, Jr., but also the “violent philosophy” of the Black Panthers, a very small and extreme radical group. When it came to economics, the majority insisted on removing the word “capitalism,” because the phrase “capitalist pig” has negative connotations. In its place, they inserted “free-enterprise system” – not because it was more correct, but because the majority didn’t want to show that our system has any weakness. As I read about the changes in the history and economic sections, I wondered if there would be any references to sexuality education in the sociology section. Sure enough, I found one. Board member Barbara Cargill shepherded through an amendment insisting on teaching “personal responsibility for life choices-teenage suicide, dating violence, sexuality, drug use, and eating disorders” (emphasis mine). This coupling of sexuality with socially negative topics sends a not-too-subtle signal to educators that they should teach sexuality from a fear- and shame-based perspective, an approach that is not supported by research. If these changes go through – and the consensus is that they will be passed again in May – we can pity Texas public school students about what they will and will not learn. 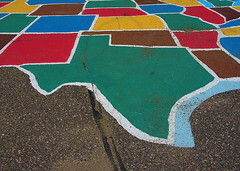 But the Texas vote may cast a longer shadow on what children in other states will learn, too. Nationwide, 20 states vote to adopt textbooks for all schools districts, the largest of which are Texas and California. Textbook publishers develop books based on the curricular requirements of these state boards, because of the large numbers of public school students in the states. We can prevent travesties like the one in Texas by creating national standards in education. Last week, a panel of education experts led by the National Governors Association and the Council of Chief State School Officers made recommendations for national standards in reading and math for K-12 students. If accepted by states, national standards would greatly diminish local and state control of educational policy, and children from the most affluent to the poorest school districts would learn from the same high standards. These would be educationally sound, rigorous, apolitical, and developed by experts. Sadly, but perhaps not surprisingly, the first news stories about the panel’s recommendations reported that educational policymakers in Texas are among those in only a couple states likely to refuse to adopt the proposed national standards for reading and math. As a former state education board member, I see a much brighter future for national standards. Once state policymakers and board members see how reading and math standards improve educational outcomes for children in their own states, they will adopt national standards in other subjects. And wonder of wonders, in the fullness of time, states may even adopt national standards in heath and sexuality education. Then students in Texas – and elsewhere – will learn about the positive aspects of human sexuality.